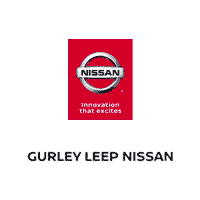 When it comes to style, safety and selection, your source is Gurley Leep Nissan. Known throughout Mishawaka for our commitment to outstanding customer care and quality, you will find a different level of service from our staff. And that’s what we deliver for you. A better experience. A short drive from South Bend, Elkhart and Granger, we have an outstanding selection of new, used, and certified pre-owned vehicles. Our friendly, knowledgeable sales team is dedicated to helping you find the right car that fits your needs and budget. And our finance experts will get you the most competitive rates around for your auto loan or lease. My service representative Lynn, was extremely helpful. I found myself at this dealership due to a blown transmission on a trip from Chicago to Ohio. They we're super helpful in arranging this long-distance repair as I just left the car there. They were patient with me as I made decisions on this very expensive repair job. Lynn Sterling even went as far to mail me my garage door opener which I left in the vehicle! Though I won't be using them because I live in Ohio not Indiana, I found there service to be excellent! Just wanted to say thanks to Gurley leep and phillip Hall sales professional he treated us with dignity and respect also very helpful on everything he answer all our questions we had in mind about our purchase over all 100% satisfaction most definitely will recommend to s friend thanks once again. Good people work here! One suggestion - the waiting lounge needs to be upgraded to be friendlier for customers whom prefer to camp out and work on computer while waiting for vehicle servicing. I have to say, didn't think it would of been as easy to purchase a automobile as it was. Gurley Leep was GREAT and they were HONEST. I believe I've found a new home. The staff went above and beyond our expectations even when the computer system went down for the night. We just came back on Monday to sign the paperwork and we were good to go. Loved that we worked with local Niles, MI resident as our salesperson.